It’s such an easy classification for a lot of us! Either a mattress works wonders or just falls flat! But there are a lot of questions to ask before buying a mattress, especially one as complex as one from the innerspring genre. There are a lot of mattresses you can buy online as well as offline, and the list of features to pick and choose from is so wide and varies that it can be impossible to give them all a fair consideration, and thus end up with a less than perfect mattress on your bed. So don’t worry if you think you’ll be confused this way. We have a list of questions you can ask yourself before finalising some mattresses for a comfortable sleep. 1. Are the coils encased? Innerspring mattresses were really getting old, having first appeared at the very beginning of the bedding industry. So the latest innovation introduced in these mattresses is the individual encasement of the coils. Each spring is wrapped in a pocket of fabric that keeps it separate from the other springs as well as other things in their environment. These are called Pocket coils, in market speak. Encasing springs has a lot of benefits. It certainly makes mattresses much more comfortable to lie on. The pressure profile improves massively, since the compression in the mattress now takes place in proportion to your body’s contours, which is much healthier than the overall depression that manifests proportionate only to the net weight falling on the entire surface. In fact, pocket coil springs can get you a near flat surface right next to the area with a heavy weight, instead of undulating curves that normal mattresses offer. They’re always the superior choice. Only, don’t be tricked into thinking more coils are always good. Coils above 800 are pretty great, but anything more than 1500 should make you suspicious, because manufacturers put tinier coils in between which serve no purpose. 2. What is the Coil Quality? The quality of spring coils can be evaluated by the feel of the mattress. There are on course technical specifications to look out for. For example, a soft spring has a gauge around 1.2 while hard ones have 1.5, and users can choose from the options the market offers. There are other parameters to consider as well. Springs with bad build make more noise, and you don’t want to be woken up at 3 at night by the sound on your own movements on the bed. The recoiling on the coil shouldn’t be jerky (can be managed with mattress toppers) and changing positions shouldn’t cause you too much grief. There can be several layers of foam on all sides of the springs in your mattress. Ideally the mattress should have both low density and high density foam layers. High density foam is good for back support. It is what makes your mattress feel firm and solid. Low Density foam provides comfort and the plush feeling. Companies use different layers in varying combinations to give the mattress a good performance. Apart from that, there are other properties you can keep an eye out for. Many mattresses are made with less harmful chemicals and without heavy metals, which is a positive. 4. What benefits does the mattress offer? Does the mattress give you proper spinal support? Does it have benefits for chronic back problem patients? Many mattresses are designed to help alleviate aches and pains, or prevent them from occurring in the first place. Some are ensured to have negligible smells, helpful for those with sensitive noses. Some mattresses have cooling gels in the foam as well which quicken cooling effect of the mattress. All these benefits can significantly improve the quality of your sleep. You’re much more likely to be satisfied with the mattress that has these features than with those that don’t. Getting these can be a pretty amazing deal. An innerspring mattress is not a mammoth by itself. Even if you find two mattresses alike, the accessories you can score with them can help you decide which mattress to buy. Removable covers are common to find, and many of them can be machine washed. These can keep your mattress clean and healthy for long. 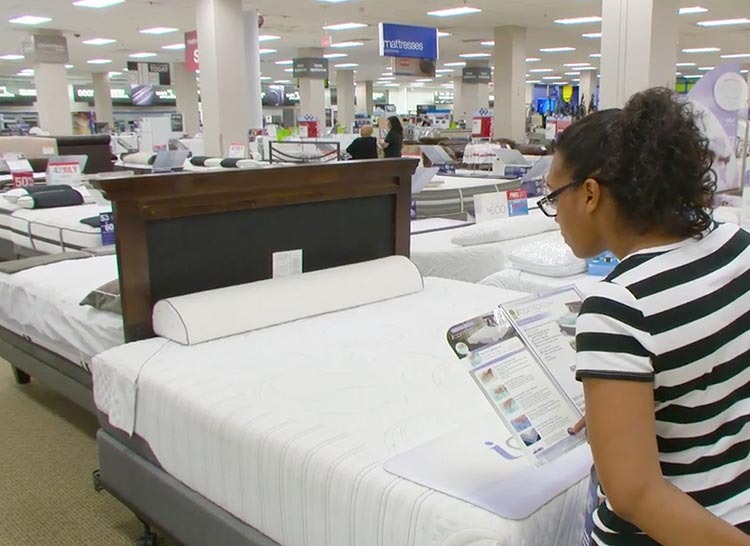 Then, there are stores that throw in things like linen, extended warranties or pillows to score your business. After sales services, if any, can also be significant factors to consider. Cleaning the mattress is not just an inevitability, it is a healthy practice to be encouraged to preserve health and keep your sleep sound. Pocket coil mattresses don’t come with hypoallergenic properties like Latex mattresses do, but they can be constructed to aid in cleaning. Washable removable mattress covers can help. You can vacuum most mattresses using the upholstery fixture. A lot of mattresses are better placed on top of a raised surface to prevent moisture causing mold. Your salesperson should be able to help you figure cleaning out. When most factors are comparable and you’re confused, the pricing should help you out. 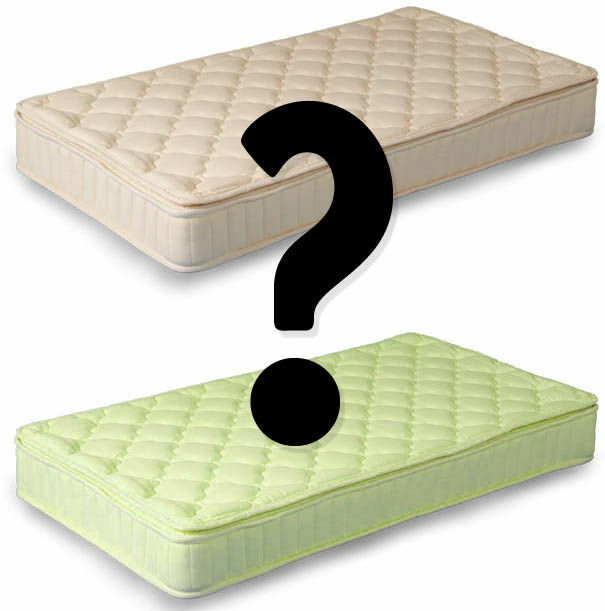 Normally, the sales prices of two mattresses with similar features come out almost equal, with barely a few buck of difference. But that is not the whole picture. The price you should consider is how much money you are going to pay after any discounts, added with the after sales costs like the cost of shipping (if any), service costs (again, if any) and many even factor in the hassle they have to go through after sale, like getting the company to process refunds or replacements as noted through reviews easily available online. Mattresses are really not that complicated to figure out. Buying a good innerspring mattress is worth the effort you put in. Their superior comfort profile and the added features we mentioned can make you sleep significantly better, and thus boost your productivity at work and school, as well as make you feel more energetic. I hope this helps.